Your wedding day is finally here! 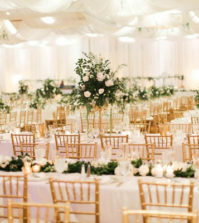 In the hectic pace of planning and arranging everything, you are likely to overlook some detail or the other. 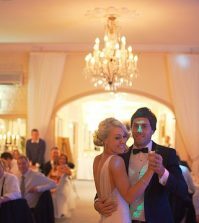 To avoid any last minute snags, here is a checklist of things to do the day before the wedding. Follow this and the last few hours leading up to your wedding will be relaxed with everything under control. Not only should you lay out your wedding dress, you should also inspect every detail one last time. The last thing you want is to find a missing button on the morning of your wedding and panic over it. Do it the day before and you have plenty of time to fix any likely problems. Also arrange all the things you need in the morning—your make-up, inner-wear, perfume and accessories in one place, so you needn’t run around searching for anything once you start dressing. Make sure that everything is arranged in a location, that nobody has access to, so nothing is tampered with. Although you are certain that everything will go perfectly, you can still call up all the vendors and ensure everything is as per plan. If anything, it will put your mind at ease to know that everything is progressing smoothly, and not be worried of likely issues. Every bride has to have an emergency bridal kit for any likely mishap on the wedding day. Put your kit together with all the essential fixes, and hand it over to your MoH the day-before, so she can carry it with her to the venue. Also, spend some time sharing notes over the duties of the bridesmaids and ensure that you and your MoH are on the same page. She can then see to it that the bridal party handles their responsibilities as per your expectations. Get your MoH to check that the bridesmaids are all set for your wedding day, their dresses are in order and they are aware of all other necessary details. Photos will be taken from the moment you wake up on your wedding day. So, get your house looking great and neat on the day before, and you needn’t worry about it in the morning. Put out a few baskets to corral any strewn items and just tuck them into corners to sort out later. Also, co-ordinate with out-of-town guests and make sure they are where they ought to be. A good idea would be to entrust this responsibility to family or friends, and just check to see that everything is as per plan. You have a stressful day ahead, so make sure you get some “me” time the day before to relax and unwind. Indulge in a scented bath or home facial, listen to some calming music or take a nap. Imagine a perfect wedding day and it will be just that. Rejuvenate yourself and you will be ready for the long day ahead of you. For more valuable wedding tips and advice, as well as to pick out the perfect wedding dress, visit us on Best for Bride. Useful. 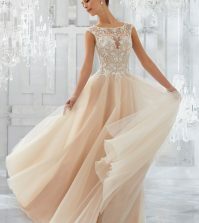 I have never commented on any bridal sites before, but these are amazing! Super helpful and super lively! cheers! ALL great tips! At this point you are most likely freaking out about the next day and might forget a few things. Nothing wrong with being prepared and this list is a great one to keep for the last few days before the big day!